Do you have flag poles on any of your buildings? 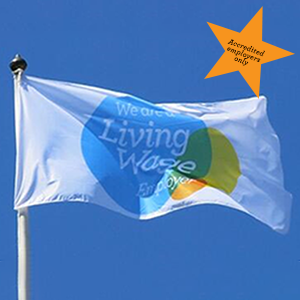 You can fly the flag for the Living Wage! The perfect promotional item for Living Wage Week.